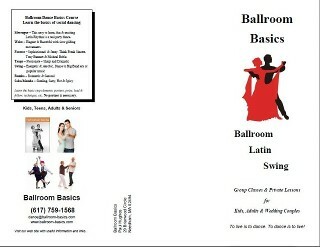 Ballroom Basics provides classes and private instruction in Ballroom, Latin and Swing style of dances for Kids, Teens, Adults, Seniors and Wedding Couples. Paul Hughes started dancing when he was a pre-teen. He studied at Arthur Murray’s, Metro Dance Studio, Fred Astaire, Radler Hamby Ballroom Dance Studios, and Supershag. 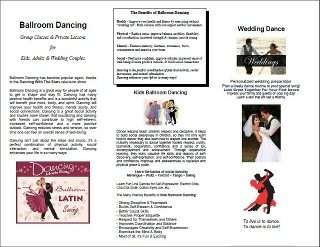 He has attended many coaching workshops and the Dance Teachers Club of Boston. He competed with his partner Judy Silverstein in American Smooth and Rhythm and International Standard and Latin American dances and won many awards. 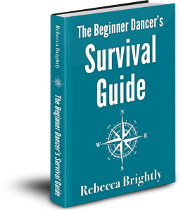 He is a certified member of the Dance Teachers Club of Boston (DTCB), American Society of Teachers of Dance (ASTD) and National Dance Council of America (NDCA). He won the Most Versatile Dancer Contest at the Stardust Dance Weekend in the Catskills in New York, showing his knowledge and ability in 37 types of dance styles. He has been a Dancing Pro with Dancing with the Newton Stars fundraiser to benefit the Veterans of the American Legion Post 440 in Newton MA. Each year he has been teaching about 800 5th and 6th graders in a Kids Ballroom Dancing Program as part of the Physical Education Program in all 13 Cambridge Public Elementary Schools and in Ipswich for the past several years. He was recently featured in a segment on Chronicle on WCVB-TV and The Boston Globe web site about the Kids Ballroom Dancing Program using dance to teach social skills and etiquette using Social Emotional Learning (SEL). The program was featured in a chapter from the book TRUE Influence: The Magic of Human Connection by Tim David on How Influence Works in the Real World. His adult group classes were covered on Wellesley Cable TV. He has taught at Mount Ida College, Mass College of Art, Franklin High School, Cambridge Public Schools, Dance Complex in Cambridge, Needham & Stoughton YMCA, Medfield, Norwood, Belmont, Wellesley, Weston Senior Centers, Ballroom Dance Therapy at Brookhaven in Lexington, Brightview Senior Living in Canton, Wingate Residences Independent Living in Needham, Beyond Adult Day Health Center in West Roxbury, Wellesley Weston Lifetime Learning, Boston Assemblies Social Dance & Etiquette, Randolph Intergenerational Community Center, Weston Recreation, Walpole Recreation, Westwood Recreation, Brookline Adult and Community Education, Moseley's Ballroom in Dedham, Betsey's Ballroom at the Yarmouth Senior Center for the Cape Cod Ballroom Dancers, South Shore Dancers, Dance Time Studio in Canton, Hazel Boone Dance Studio in Canton, Village Club in Needham, Unitarian Universalist Society in Wellesley, and the Knights of Columbus in Needham and Norwood, MA. His mission and passion in life is to offer something of value and meaning to others that will enhance and transform people's lives for the better through sharing the many positive physical, mental and social benefits of ballroom dancing.